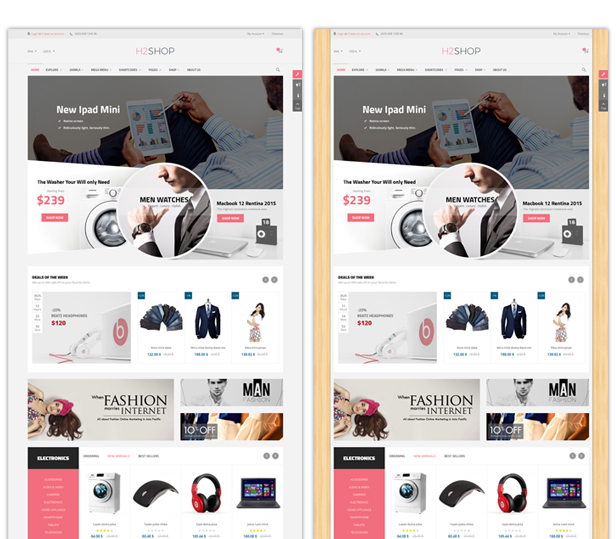 SJ H2shop is a clean coded responsive VirtueMart 3 template with a modern design. 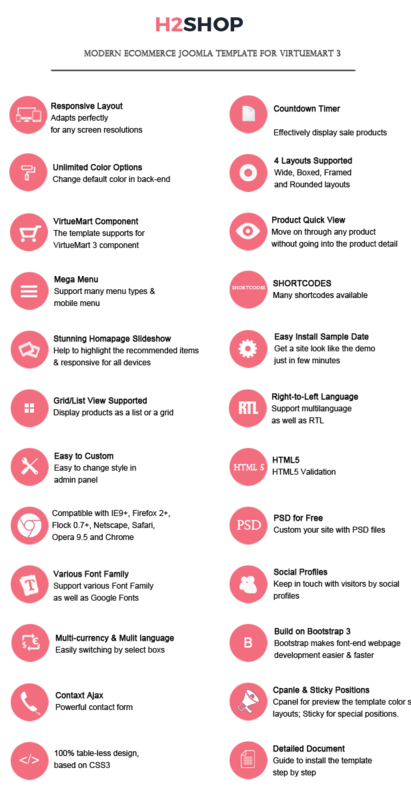 With well-structured and multi-functional layout, you can easily customize it to fit any kind of online stores with huge content. Furthermore, SJ H2shop is powered with VirtueMart 3 component along with lots of impressive features and functions such as: Mega Menu, Countdown Timer, Product Quickview, RTL language, dozen of ShortCodes built-in..... You can build an eCommerce website just in few minutes without much coding knowledge. The powerful Joomla template framework - YT FRAMEWORK V2 is flexible with Bootstrap3 at core. You can easily customize most of SJ H2shop parameters. 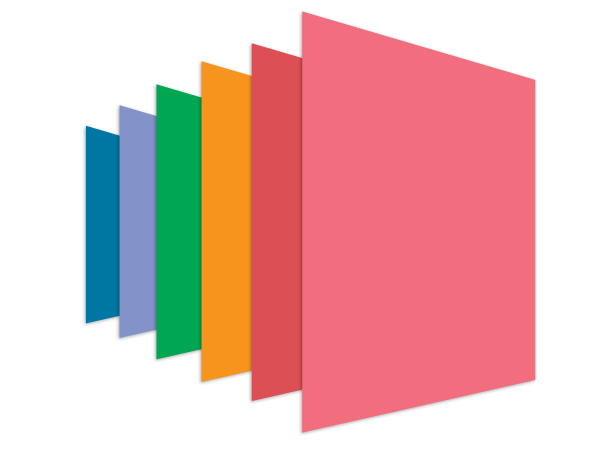 SJ H2shop comes with 6 Preset Color Styles: Pink (default), Blue, Purple, Green, Orange and Red. You can also totally change your color for all params: body, header, spotlight, footer... by using c-Panel. SJ H2shop is fully and looks delightful across different devices and screen layouts as well. 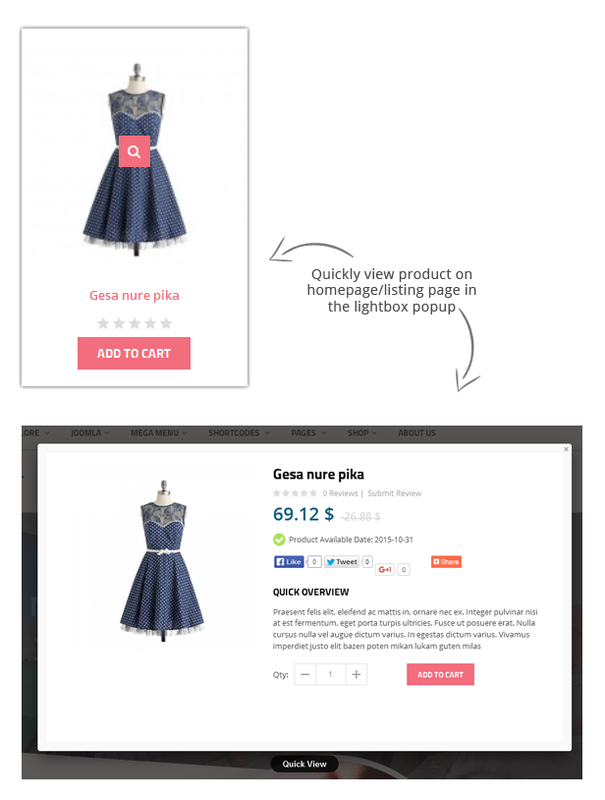 You can select layout style: boxed or wide for your store. 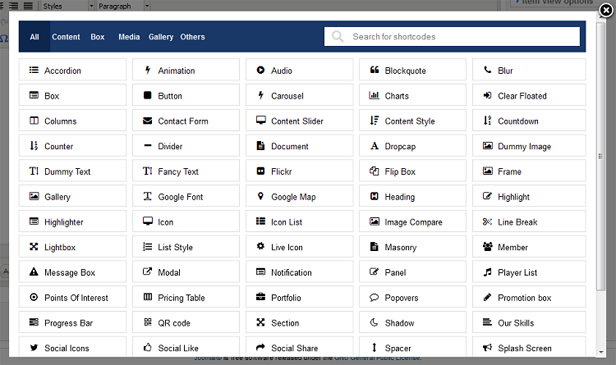 With boxed layout, you will have many choices for pattern displaying. SJ H2shop is fully right-to-left language ready. Switching between different languages is very easy now. 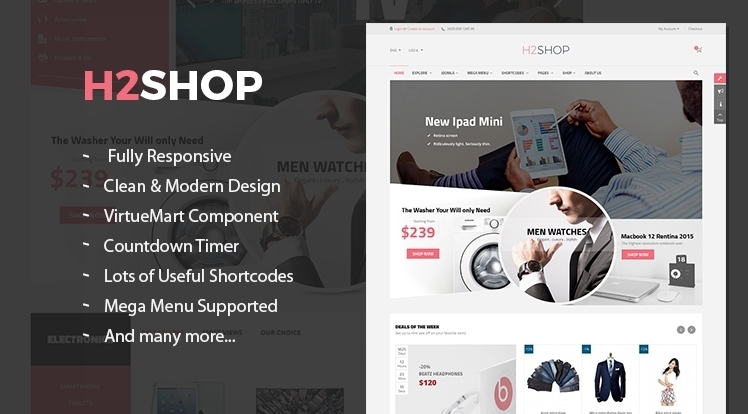 Built with latest YT Shortcode version, SJ H2shop is available with over 65 useful shortcodes. All you have to do is choose shortcodes you like from the library and do some tweaks.